 In Femap it’s possible to assign a shortcut key to a particular command, which makes it very convenient to repeat the command particularly when you are performing a series of actions where the command is used over and over again. However, you can go even further than this, and assign a shortcut key to a custom program, allowing the key to potentially perform repeated sequences of commands. Let’s see how to set this up. First of all let’s select a custom program file to assign as a shortcut. 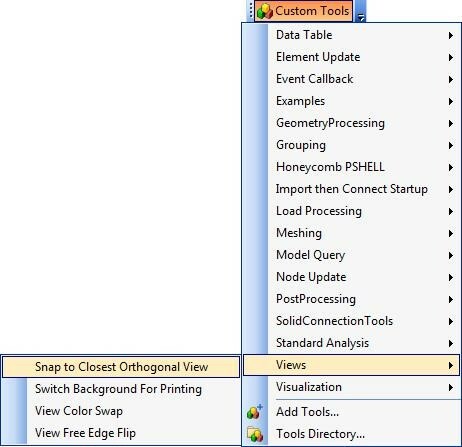 If you click the Custom Tools icon, you’ll see a list of all of the custom programs that are delivered with Femap. 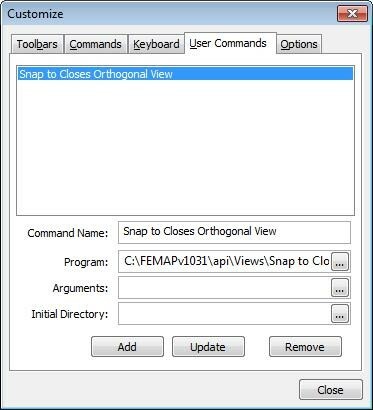 In the View section, you’ll see one entitled Snap to Closest Orthogonal View. 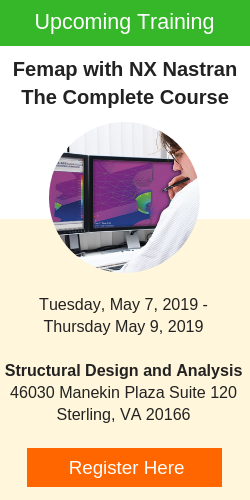 When you execute this program, the Femap view will shift to the closes orthogonal view, which is very helpful when you require exact views of the model to be activated easily. 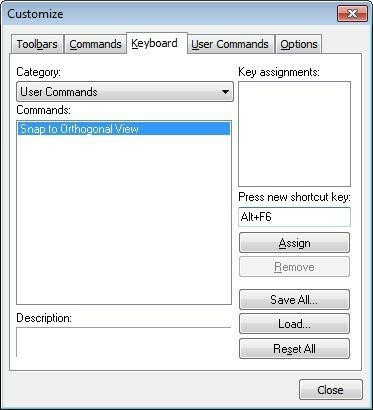 To assign this program to a shortcut key, right click in the toolbars area of the Femap screen, and scroll down to select Customize…. In the resulting Customize dialog, select the User Commands tab, and click the … icon next to the Program field. In the Command Name field, enter a suitable name for the command to be selected. Select the program and click Open. Now click Add then Close to finish the program file selection. The next step is to assign the program to a shortcut key. 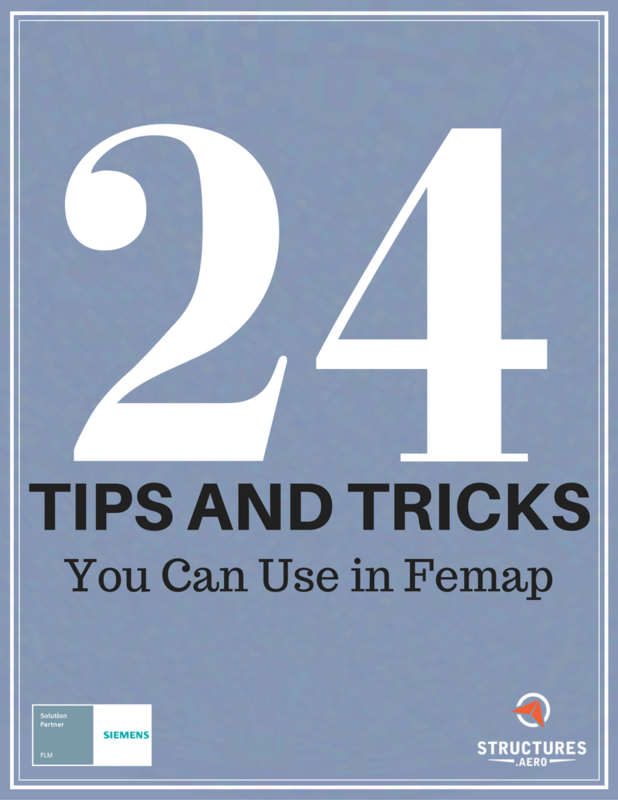 Go back and right click in the toolbars area of the Femap screen, scroll down and click Customize… as before. This time pick the Keyboard tab of the Customize dialog. Under Press a New Shortcut Key, enter an unassigned shortcut key, Alt+F6 for example, and then click Assign. The shortcut key should then appear up in the Key assignments box. Click Close to complete the key assignment. Now when you enter the shortcut key, the custom program will be executed. In this example, the view will shift to the closest orthogonal view.